Trout season is off to a good start with limits coming out of the East Buoys and in Boat Dock Cove. 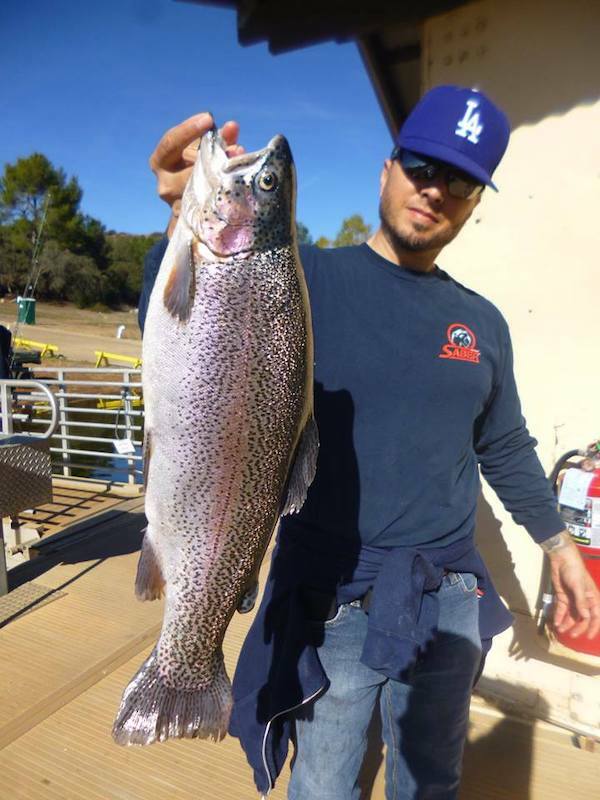 Brian Ortega has the lead in the Whopper Contest with his 7.90# trout caught opening day on a kastmaster at the buoy line. 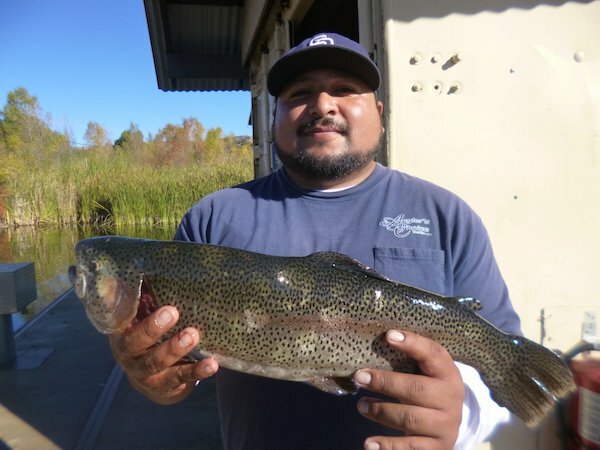 Other notable catches included Johnny Campa's 7.10 pounds, Alex Chao's 6.70 pounds, and Rafael Villegas's 4.80 pound trout. Some of the more successful baits have been jigs or kastmasters, as well as, yellow-ish powerbait or inflated nightcrawlers. 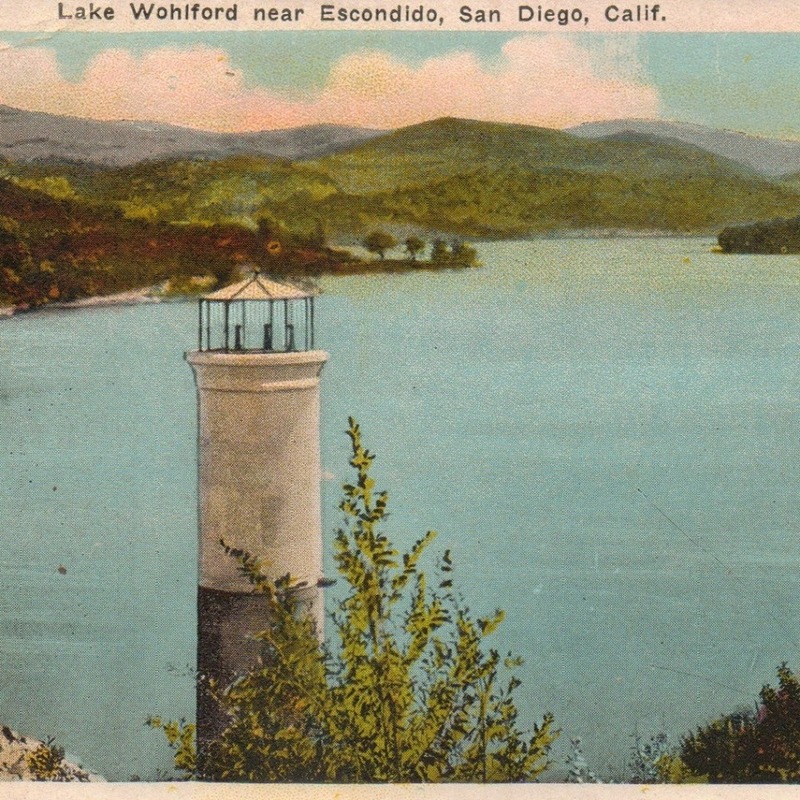 Bass can be found around structure. They respond well to swimbaits, crawdads, and dark colored plastics. Crappie prefer the cover of shade and are most often caught using finger jigs or live golden shiners.